Do you want to surprise your partner with an unforgettable gift? There is nothing more valuable than giving him/her a rich travel experience. A memory that will last forever. If you want to express your love to your partner on Valentine’s Day in a very special way, Memphis tours will help you the best. Explore Egypt and Jordan Tours to see the most important spots in Egypt and Jordan like the Cairo Pyramids, Luxor, Aswan and the ancient city of Petra, Roman Jerash and more! An unusual trip through history to explore the mysterious greatness of the pharaohs whilst sailing along the Nile Valley in Egypt, then move to see the exquisite monuments in Jordan in Petra & Amman. Enjoy Dubai Honeymoon Package. Have a romantic trip, go through Dubai and visit mini mazes of wind-towered buildings, narrow lanes and meandering pathways of the lively souks. Explore Dubai Travel Packages Now! Turkey Trip Package is a perfect getaway for an exciting and memorable vacation. 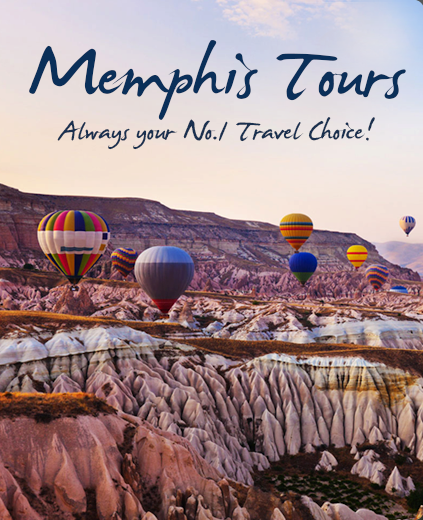 Visit with our Turkey Vacation Deal, Istanbul, Cappadocia, Konya, Pamukkale, Kusadasi, Ephesus with the great attractions like Hagia Sophia, Hippodrome, Grand Bazaar, and More. Don't miss your Greece Islands Itinerary for 8 days Athens Mykonos Santorini Tour and collect a great memories that you never forget. Book Now! Enjoy Kenya Safari and Beach Honeymoon Package. Go through Kenya and visit Nairobi, Lake Nakuru National Park, Maasai Mara Game Reserve and Diani.